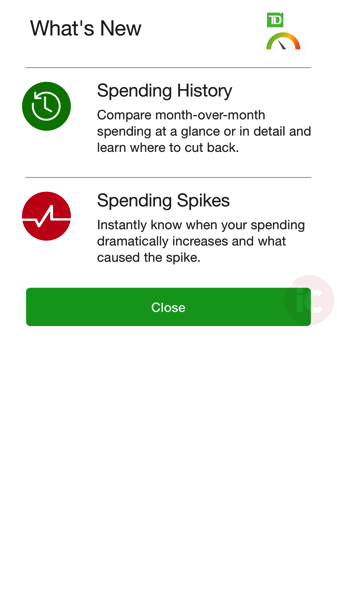 TD Canada’s real-time spending app, TD MySpend for iOS, has reached version 2.0, and with it comes a couple new features. Spending History shows your month-over-month spending in an easy-to-view glance. Each month shows the total spent, along with a visual indicator of green (good), yellow (warning) and red (overspent). There are also totals under each month of what your typical spend is for that month. It’s really easy to see when you’ve gone over your budget. Spending Spikes are shown in your monthly graph view showing spending totals. 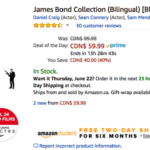 Users just tap the spike icon, which details what you’ve overspent. It will say something like “On June 7, 2017, you spent $1000.00, which is 4.22x over your usual spending.” It will then prompt you to respond yes/no to the question “Was this information helpful?” These spending spikes also show spending by category and by day, allowing you to make adjustments on the fly. TD MySpend launched last April, and one year in, the app has neared 1 million Canadian iOS and Android users. Click here to download TD MySpend for iOS in the App Store.